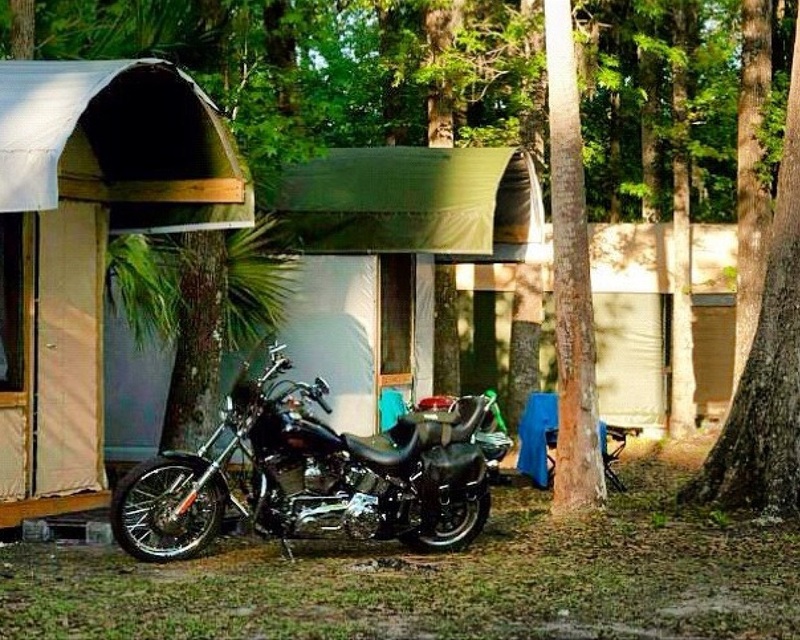 With 9’ vaulted ceilings, screened breeze ways in the back and front, platform air beds, and shaded front entrance, Nova Campground's Florida Igloos (TM) are like your own private villa in the forest. Traveling solo or with your honey? Reserve a quiet and private setting! Adventuring with a group or hosting a retreat? Nova will gladly cluster your Igloos to create your own mini-village for you and your friends. 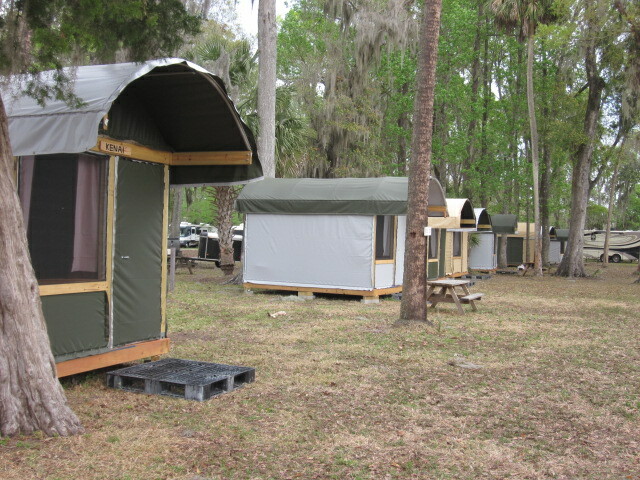 Ideal for team building, church retreats, family gatherings, and more! 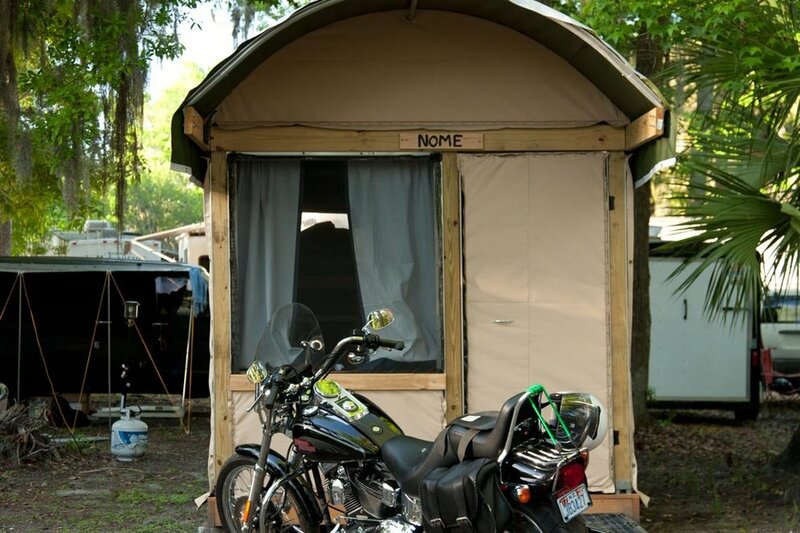 Can sleep up to 3 & A/C options available. Call us today for more information!